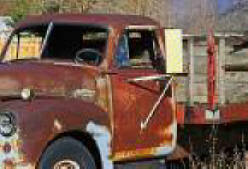 Do you really want to call a company and end up with someone that has a truck like this, leaking fluids in your driveway? If you do, he will probably have a toy pressure washer like this one. This could end up being bad news for you! This company will have a truck they pull the trailer with. They may even have hot water but with the fuel cost, will they even use hot water? 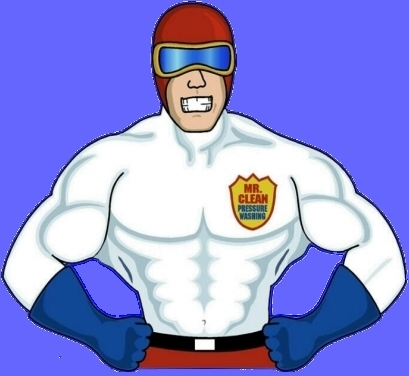 At Mr. Clean Pressure Washing, we care a little more about how we look and what we do. 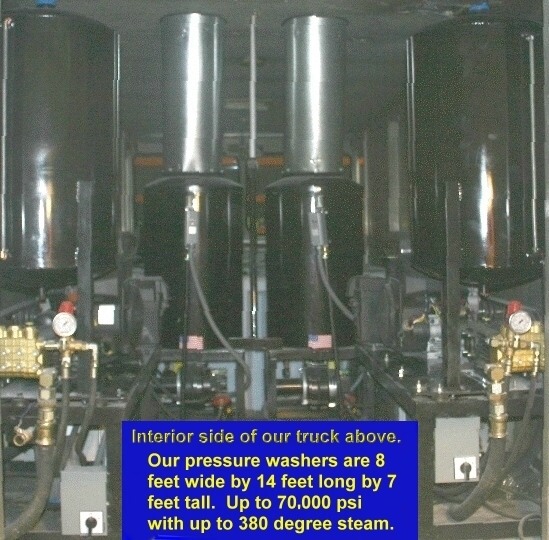 Inside our trucks, you will see the largest, most powerful pressure washer. Our trucks are pressure washers. Cost of our pressure washer: over $100,000. Look below; the entire truck is a pressure washer. We take pride in our equipment. We have been in business for over 36 years and we know every surface. 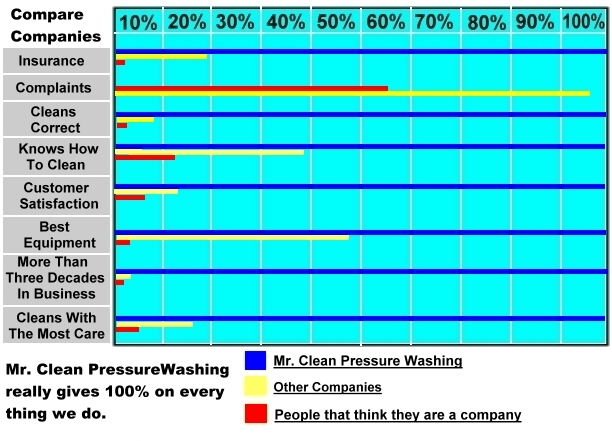 We have found that most companies have no clue how to clean things right. Our trucks can hold thousands of gallons of water when needed! We are insured, bondable and ready to clean things right.